Be careful. The will of a well-intentioned person may be stronger than your own. Liisa moves to Helsinki for the summer to study poetry and rents a room in a former songstress’s apartment. The summer turns into years, the old diva weaves a web around the girl, changing her forever. Liisa becomes a single mother and a nurse, who had a passion for writing poetry in her youth. Liisa’s son, Juri, was supposed to be a pianist but became a doctor. Only later do we find out why Liisa sold the piano and stopped her son’s piano lessons without asking him. By chance, Juri ends up playing the accompaniment for a mezzo soprano with a fantastic voice and interpretive style. His passion is reignited. 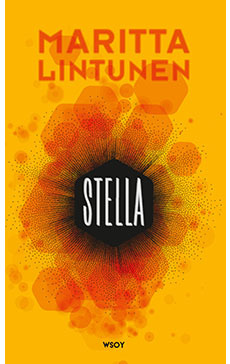 In her fifth novel, author and Master of Music Maritta Lintunen explores subjects close to her in a fascinating way. The grand piano and the body of a singer are delicate instruments that must be nurtured with care. But only enchantment can give music – and the best literature – a soul.